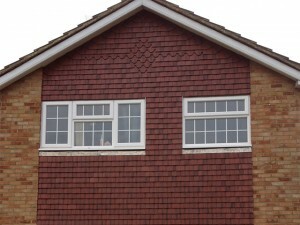 Here is an example of a property which had plastic cladding on the vertical panels. 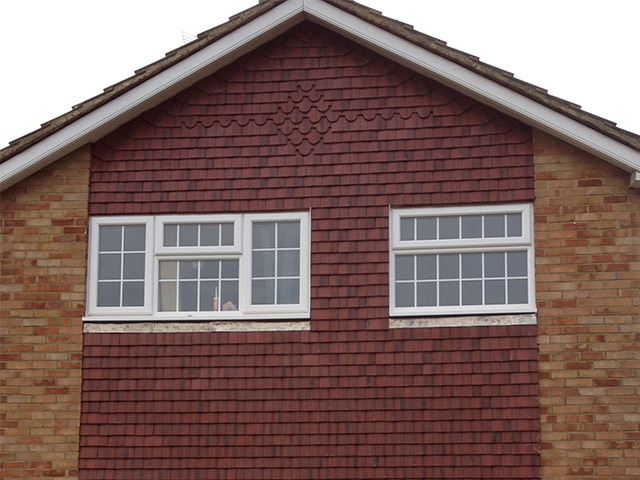 We removed this and installed Tyvec® breathable membrane, 25mm x 38mm treated batten and tiled the area using Redland smooth concrete plain tiles. 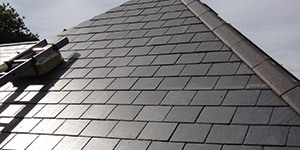 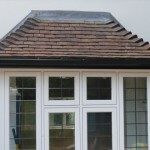 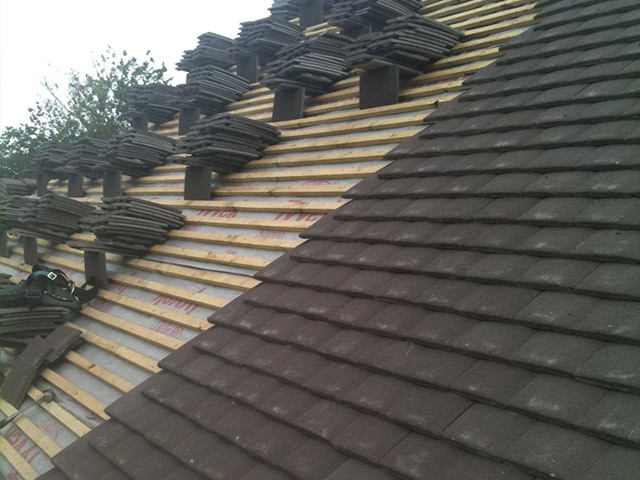 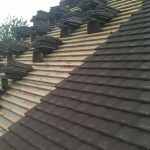 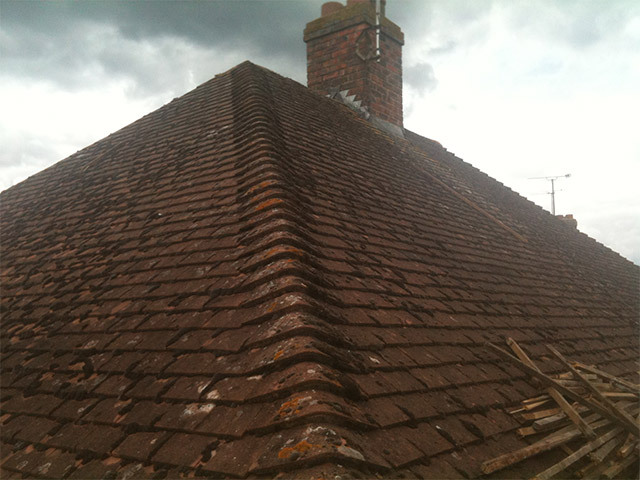 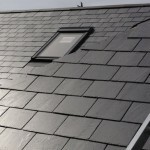 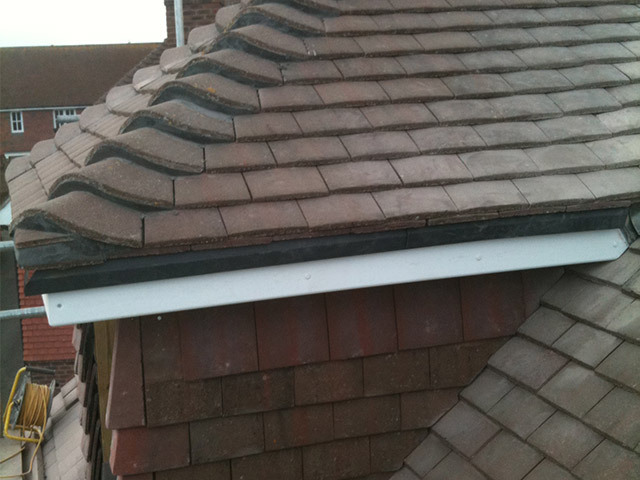 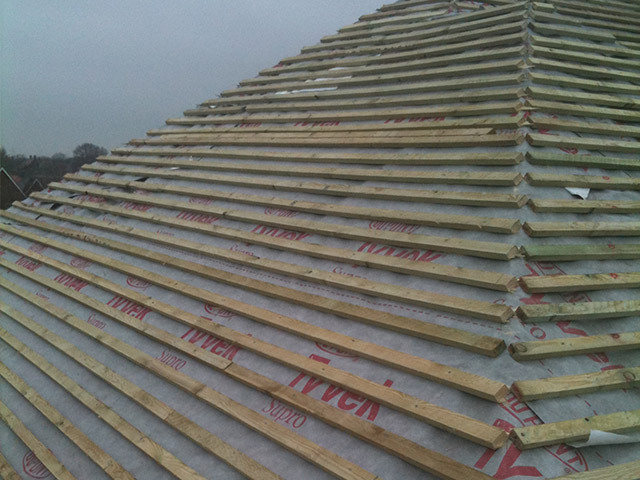 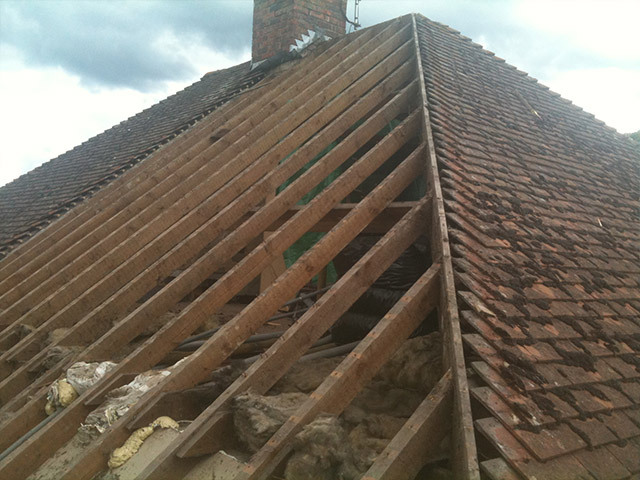 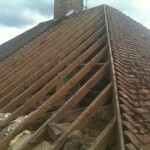 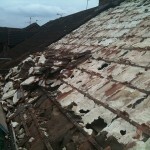 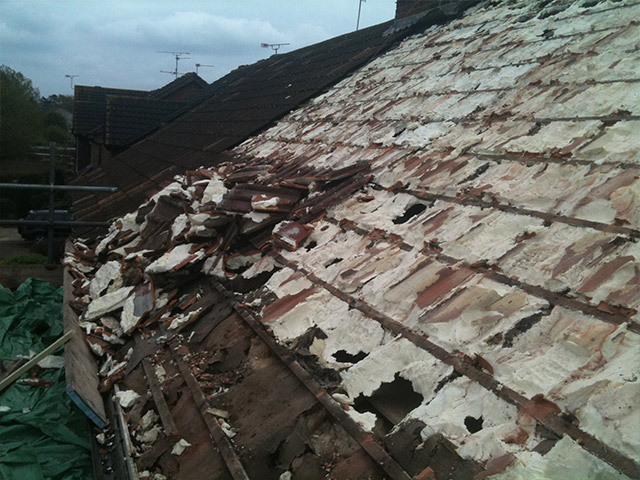 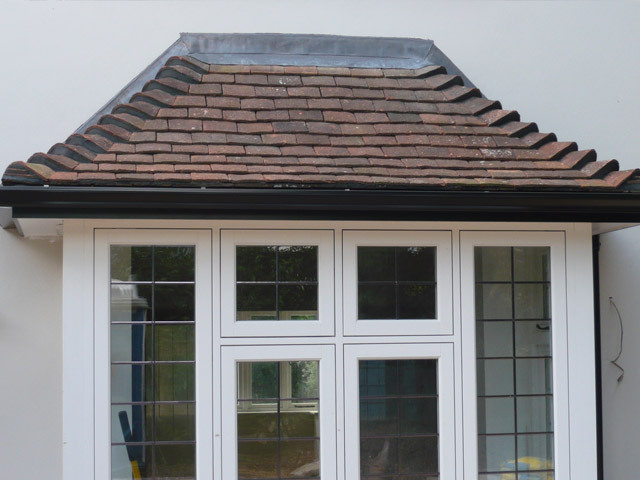 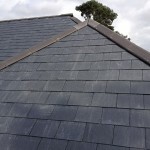 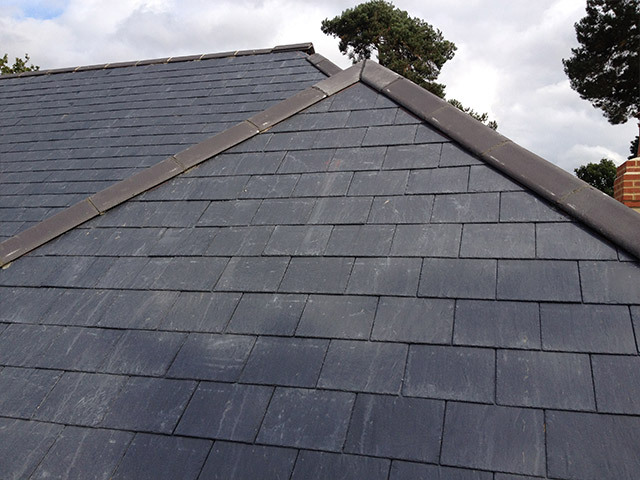 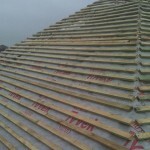 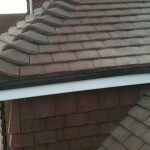 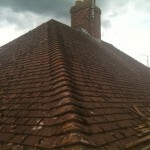 This work carries a 30 year guarantee.